Support parks for future generations. Your contribution to San Francisco Parks Alliance helps support our core programs, parks policy, research, and advocacy initiatives on your behalf, and provides important services to our more than 100 Park Partner community groups active improving parks and open spaces in your neighborhoods. Please support your parks today with a tax-deductible donation. Matching Gifts: Many companies will match, double, or even triple donations to SFPA by their employees or retirees. 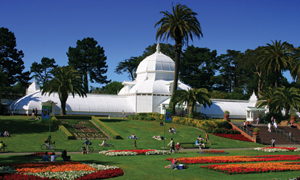 Contact your company’s Human Resources Department to find out if your company matches donations to San Francisco Parks Alliance. Stock Gifts: For instructions on how to make a gift of stock, please contact Paula Martin, Development Operations Manager at 415.801.4161 or paula@sfparksalliance.org. Car Donations: To donate your vehicle today, click here. Honorary Gifts: To make a gift in the honor or memory of a loved one, click here.